I’ve got my hands on two new books that deal with the restoration of historic Jewish sites in Poland and the Czech Republic. Both are oversized, both are bilingual (English and the local language)and both feature a combination of text and photographs. 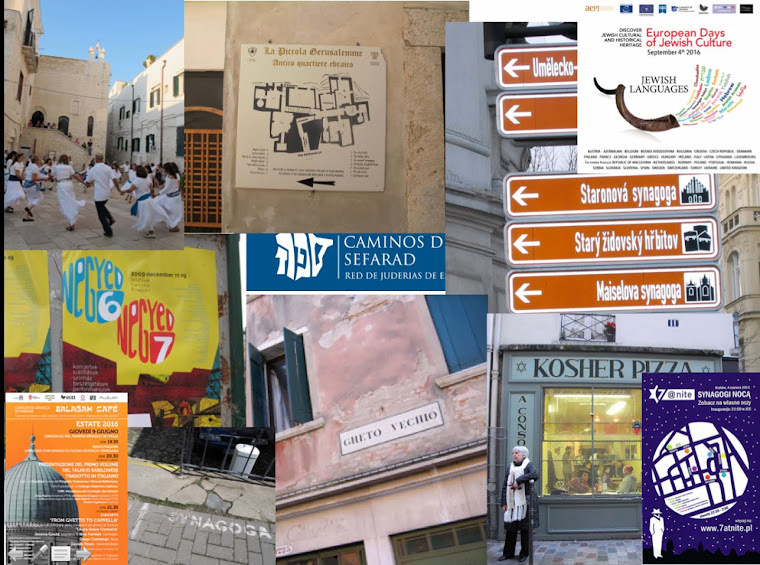 Both, too, are, in a sense, celebrations of the restoration of Jewish heritage sites in those countries since the fall of communism in 1989. But they are quite different in scope, design and presentation. Brány spravedlivých. Synagogy Moravy, Slezska a Čech - The gates of the righteous. Synagogues of Moravia, Silesia and Bohemia, by Jaroslav Klenovsky and photographer Ludmila Hajkova (FotoStudio H, Usti nad Labem), is a gorgeous coffee-table book that examines in some detail 54 of the synagogues that now stand in the Czech Republic, chosen to illustrate different architectural and decorative styles as well as history. Klenovsky, based in Brno, is a pioneer in the post-World War II and post-Communist documentation of Jewish heritage sites in Czech lands, especially in Moravia, and has written widely about synagogues, cemeteries and Jewish quarters. 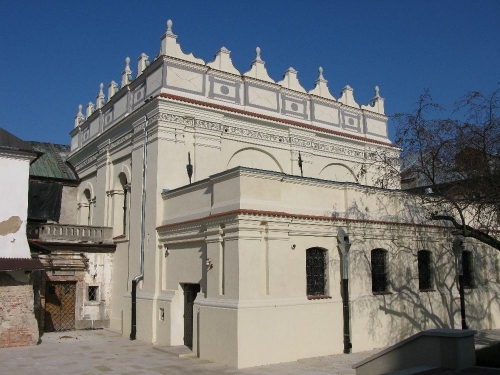 The synagogues in the book are arranged in chronological order, from the 13th century AltNeu (Old-New) synagogue in Prague, to the modern synagogue in Liberec, dedicated in 2000. Several pages are devoted to each building: an explanatory text sketches the history of the synagogue and local Jewish community and also provides an architectural description. Lush color photos depict both the interior and exterior of each building, as well as details, and each is also accompanied by drawings showing the floor plan of the building as well as its location in the city. 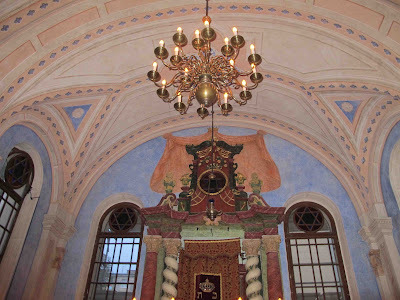 Currently, seven synagogues in CZ are used as Jewish houses of worship, 35 are Christian churches, 43 are used as museum or for cultural purposes, 15 warehouses and storage facilities, 20 are under reconstruction or without use. Preserving Jewish Heritage in Poland – in which I am pleased to say I have an essay – was officially launched Nov. 4 in Warsaw. 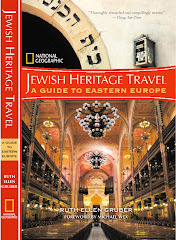 Co-financed by the Polish Foreign Ministry (which will distribute copies of it), it was published explicitly to mark the 10th anniversary of the Foundation for the Preservation of Jewish Heritage in Poland, or FODZ. It highlights FODZ’s work over the past decade and presents examples of FODZ’s synagogue and cemetery restoration projects, such as the restoration of the Renaissance synagogue in Zamosc, as well as its educational programs and its Chassidic Route tourism itinerary. The full text and photos of the book can be downloaded from the FODZ web site. The focus of the book, thus, is more on policy and process than on the buildings or cemeteries themselves. 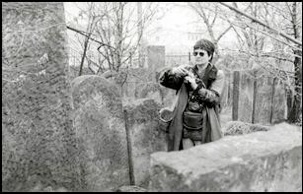 In one of the chapters, FODZ CEO Monika Krawczyk traces the history of the Foundation, which was born out of a compromise agreement following the heated debates over who should obtain restituted property that took place after Poland passed its 1997 law regulating the relations between the state and Jewish communities in Poland. A main focus of that law was restitution of pre-WW2 Jewish communal property. An agreement in 2000 led to the establishment of FODZ, granting it territorial jurisdiction for restitution and Jewish heritage in those parts of Poland where no active Jewish community now exists. This includes most of eastern and southeastern Poland. In her essay, Veronika Litwin of FODZ notes that it was not until that law was passed that “hope for change began to emerge” that the widespread neglect of Jewish sites since World War II might be redressed. As for my own essay? It's a personal look back on my nearly 25 years of involvement with Jewish heritage issues in Poland.